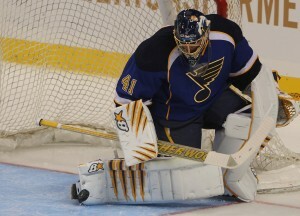 The St. Louis Blues placed goalie Jaroslav Halak on injured reserve with an injury to his right hand or blocker hand. Halak is 19-17-10 in 43 games this season, with a 2.63 goals-against average and .907 save percentage. Backup Ty Conklin will see plenty of work beginning Friday night in Buffalo. 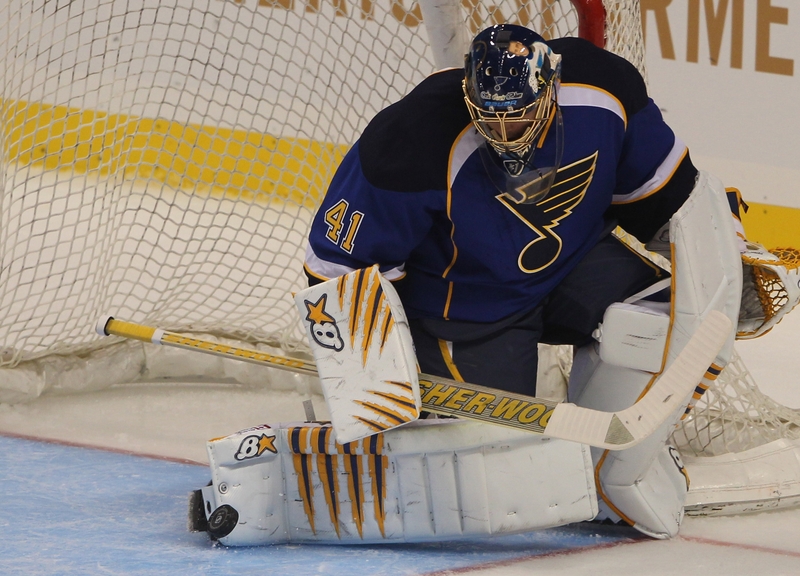 The veteran backup is 6-4-4 with a 3.21 GAA and .882 save percentage in 15 games, but the Blues may need to rely on St. Louis native Ben Bishop who was recalled from Peoria. The Blues have seven games in the next 10 days, coming at a key stretch in the season where the Blues are in 13th place in the Western Conference, nine points out of the final playoff spot. In six NHL games, Bishop is 1-1-1 with a 2.94 GAA and .893 save percentage, which all came during the 2008-09 season. In 29 AHL games this season, Bishop is 15-12-1 with a 2.52 GAA, .916 save percentage and two shutouts.